Can An Applicant Qualify for Disability Benefits Based on Obesity? BMI is a rather simple calculation and only considers an individual’s height and weight. Therefore, it is not a perfect proxy for obesity. For example, an bodybuilder might have a BMI over 30 because of their muscle density (muscle weighs more than fat). But as a general rule for the rest of us, a BMI over 30 should raise at least some level concern. 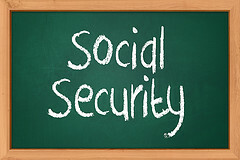 Until 1999 obese applicants could qualify for Social Security Disability based solely on the fact that they were obese. However, that has changed, and there are now additional requirements that obese applicants must meet in order to qualify for social security disability payments. There are still a few ways to qualify for disability based on obesity. First, an applicant’s obesity may cause other conditions that do qualify on their own. For example, heart disease is a disability that can qualify an applicant for disability payments. If an applicant’s obesity results in heart disease, that person may qualify for benefits based not on their obesity but on their heart disease. An applicant can also qualify for obesity if their obesity causes limitations that are equal to the limitations of another listing. For example, if an applicant has major joint dysfunction because their weight places too much stress on a weight-bearing joint, that applicant might qualify for benefits based on that fact. Both of the above routes to qualification require that an applicant’s obesity “cause” another disability. But even if an applicant’s disability doesn’t cause a related disorder, obesity might be so limiting that it prevents them performing even sedentary work. Under this method the Social Security Administration will assess an applicant’s Residual Function Capacity (RFC). RFC is basically an individual’s ability to perform the basic tasks of a job. So if an applicant’s obesity makes it difficult to walk, kneel, or manipulate small objects, they will be found unfit for jobs that require those activities. However, under this method, an applicant might be denied disability because they can do work that they are able to complete, such as sedentary work. With that said, an applicant’s other conditions may place limits on sedentary work. The Administration will look a the applicant as a whole, considering all conditions and how they affect the applicant’s ability to perform the necessary functions of a job. If you are disabled and considering applying for disability benefits, you should consider hiring an experienced disability attorney to help you with the application process. The process can be confusing and the assistance of someone familiar with the ins and outs will prove to be invaluable. Click here to contact a local Indiana disability attorney.